The WCS Graduate Scholarship Program is dedicated to building leadership capacity for wildlife conservation on a global scale by providing support to young conservation professionals to obtain master's degrees or PhDs at top-flight international academic institutions. These are the most recent recipients of the 2016 awards. Martial was awarded the WCS Beinecke African Conservation Scholarship, with support from The Sperry Fund. 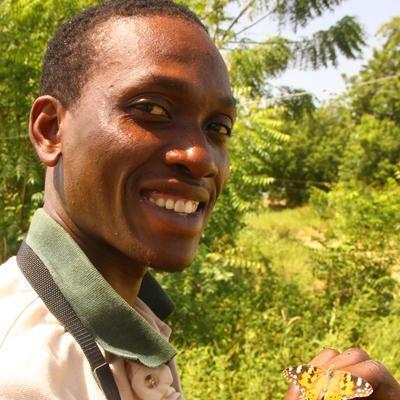 Martial has been working on wildlife conservation in West Africa for over seven years, where he has focused his research on the ecology of carnivores and human-wildlife conflict mitigation. Martial received a postgraduate Diploma at the University of Oxford in 2014 and received a grant through the WCS Research Fellowship Program in 2015 to determine the current population status of lions in the Yankari Game Reserve. He has enrolled in the Interdisciplinary Ecology PhD Program at the University of Florida’s School of Natural Resources and Environment. His doctoral research will focus on the ecology and human interactions of the Critically Endangered lionin West Africa. He will evaluate how anthropogenic factors influence use of habitat by lions in three different systems at two spatial scales and then test the influence of ecological variables on predatory behavior. The proposed research will not only fill a much needed gap in our current knowledge of a WCS Global Priority Species but also contribute to WCS's Nigeria Program strategy and to WCS's regional strategy in West Africa. Dina is our WCS C.V Starr Tiger Conservation Fellowship Recipient. She is currently a Senior Research Fellow in the Scientific Department of the newly established Land of the Leopard National Park in the Russian Far East. 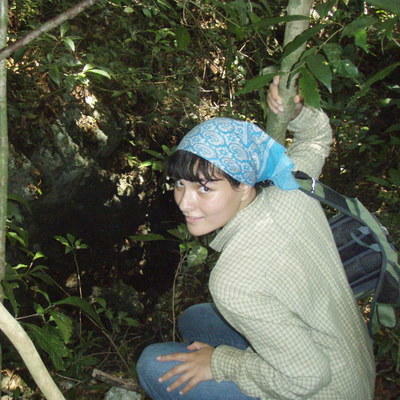 She worked on tiger conservation with the WCS Russia Program from 2008-2012, received a Postgraduate Diploma at the University of Oxford in 2011, and won a WCS Research Fellowship Program grant in 2015 to investigate Amur tiger and Amur leopard distribution patterns in southwest Primorski Province. Dina has enrolled in a Master’s Program in the Department of Forest and Environmental Biology in the State University of New York College of Environmental Science and Forestry (SUNY ESF) in Syracuse. Her research will assess the importance of environmental factors in defining habitat selection by Amur tigers and leopards; assess the importance of distribution and abundance of ungulates in the distribution of tigers and leopards; and assess how human activities influence distribution of big cats and their prey. Her study will help to focus conservation efforts for these endangered big cats in light of expected economic development of the region, not only in Russia but also in the transboundary area with China. Haqiq is a recipient of the WCS Robertson Big Cat Conservation Fellowship. In Afghanistan a bloody civil war triggering a massive emigration of civilians looking for refuge outside the country. Haqiq Rahmani was one of these refugees, and he received high school training and a BSc in computer sciences in Peshawar, Pakistan. Haqiq returned to Afghanistan and was hired to serve as GIS Manager of the WCS Afghanistan Program between 2006 and 2013. Haqiq was the first Afghan citizen to win the Society for Conservation GIS (SCGIS) scholarship to the United States in 2007, and he successfully completed an MSc program with the Department of Geography in the University of Leeds, UK in 2016, looking at snow leopard habitat preference modelling in Afghanistan. Haqiq has enrolled in a PhD Program in the Department of Wildlife Ecology and Conservation at the University of Florida. His research will focus on geospatial modelling with a focus on snow leopards in Wakhan National Park, a WCS Priority Species and Landscape. After graduation Haqiq is expected to assist his country in the development of resilient land-use plans that will help preserve the rich fauna and flora of Afghanistan and contribute to the reconstruction of his country after nearly 40 years of civil unrest and conflict. Lucero was awarded a WCS Christensen Conservation Leaders Scholarship. 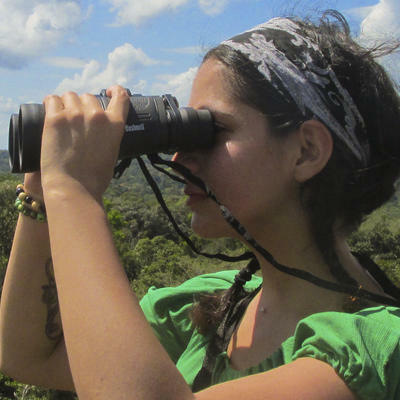 Lucero began her conservation career in 2012, looking at human-carnivore interactions in southern Mexico. Lucero has been accepted into the Doctoral Program at the University of Oxford. Her proposed research will focus on understanding the physiological underpinnings of behaviors and preferences of jaguars in areas where they come into contact with humans and their livestock. This will increase our understanding of the basic ecology and biology of jaguars while also providing information useful for human-wildlife coexistence, specifically better livestock management actions and public policies regarding retaliatory killings. Her research fill focus in and around Calakmul Biosphere Reserve, part of the tri-national Selva Maya; this transboundary jaguar population of southern Mexico, northern Guatemala, and Belize represents the largest jaguar population north of the Amazon. Her research will improve regional jaguar conservation across this tri-national region, which is one of the eight areas highlighted as a global priority in the WCS Jaguar Conservation Strategy. Mariana is another WCS Christensen Conservation Leaders Scholarship recipient. 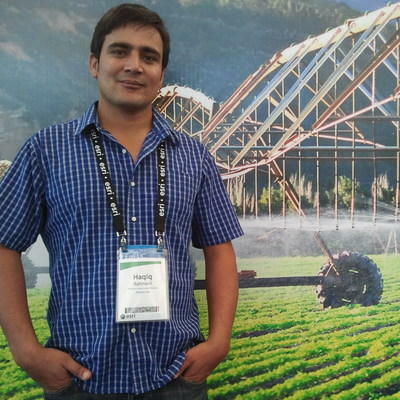 Mariana has been a member of WCS in Bolivia since March 2015. She has been working on the biodiversity and conservation aspects of the project "Integral and Sustainable Management of Forest and Land in the Madidi Region for Mitigation and Adaptation to Climate Change", as part of a team that generates and analyzes data related to vulnerability and resilience, and designed the Climate Change Management Plan of two municipalities and two indigenous territories that overlap with Madidi National Park, the core of the Greater Madidi-Tambopata Landscape. She is also part of the team that is generating a biodiversity database for the WCS Amazon Landscapes in five countries, and a query system for the WCS cross-landscape effort on impact measures for conservation actions and targets in the Amazon. Together with colleagues they are working to produce the Management Plan for the "Pampas del Yacuma Municipal Protected Area" in the Beni Department of Bolivia. Mariana recently has been accepted to study for an MSc in Biodiversity, Conservation and Management at the University of Oxford. Denise is also a WCS Christensen Conservation Leaders Scholarship recipient. Denise has worked at the Toledo Institute for Development and Environment (TIDE) and the Belize Fisheries Department for the past five years as a Managed Access Liaison Officer and Managed Access Coordinator. 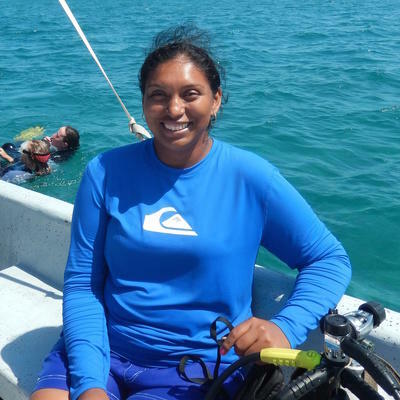 Her work has been instrumental in gaining fishers support for the national roll-out of Managed Access in Belize, an initiative in which the WCS Belize Program is integrally involved. Although coming from a rural Mayan village, Denise successfully completed the highly competitive Natural Resource Management Program at the University of Belize. She plans to pursue a Master of Environmental Science and Management at the University of California, Santa Barbara (UCSB), where she will focus on coastal marine resources management including marine ecology, oceanography, marine policy and law, economics, and quantitative modeling. Her studies will improve her capacity to provide future technical support at the policy and legislative level to ensure proper management of Belize's marine resources.